Sanitaire vacuums are known for their longevity and durability. These commercial vacuums take the abuse and keep on going. But these days, Sanitaire vacuums are known for a lot more. Sanitaire vacuums now feature many models that are Green Label approved and feature a sealed hepa filtration. The Green Label from the Carpet and Rug Institute (CRI) means these Sanitaire vacuums can satisfy any job requiring a higher level of filtration. The CRI Green Label signifies a superior cleaning vacuum that has passed stringent testing for soil removal, dust containment and carpet appearance retention. Sanitaire also features many models with a sealed hepa filtration for cleaner indoor air. The Sanitaire vacuums and their patented filtration system, capture 99.97% of all particles down to 0.3 microns. Even the cardon dust emitted by the motor is captured. These vacuums give you the satisfaction that you are not only cleaning the carpet more efficiently, but also emitting only clean air back into the room. We recently added a new "Space Saving" hose to our ever growing list of tools and accessories. Convenient cleaning and compact hose storage is available at your fingertips with our central vacuum hose management solution. The new, exclusive design is easy-to-handle. The 11 foot hose extends to provide 30 feet of cleaning reach. Easy to use for quick cleanups or whole house cleaning. A simple twist of the handle allows the extension to 30 feet and with a push of a button, the vacuum pressure in your system retracts it to its original 11 foot length. 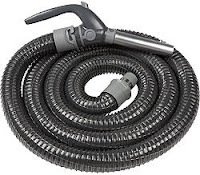 Featuring a universal connection collar, the retractable hose can be used with virtually any central vacuum system. So rather than finding a place to store a 30, 40 or even 50 foot hose, you can easily store this 11 foot hose. This hose requires 60% less storing space that traditional hoses. Not only is it easier to store, but easier to carry. Available in a basic version or low voltage version with "On/Off" switch for suction control. Both models also feature a kink-free design. Thinkvacuums.com is on the verge of joining forces with yet another major central vacuum manufacture. Together with this manufacture, we will be able to supply the most powerful central vacuum systems in the world. This company is already one of the largest and oldest central vacuum companies in all of Canada and Europe, and is considered by many to be a pioneer in the central vacuum industry. We hope to bring their cutting edge technology, design and strength to the States. Once this new central vacuum line is launched, Thinkvacuums.com will have partnered with two of the largest central vacuum suppliers in the world. We already enjoy a major partnership with Drainvac International and are excited to bring you yet another top notch central vacuum unit. We can't express to you the excitement we felt when approached by this company to sell their line exclusively on the Internet. It's not every day a company is offered an "exclusive" on a product. This means the manufacture has tons of confidence in us and our ability to provide impeccable customer service and support. This also proves we are one of the largest central vacuum dealers on the net today. This new line should be launching before the new year, so check back soon. Thinkvacuums.com seems to be growing all the time. 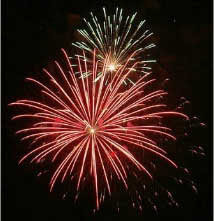 Even with the recent economic problems, our low prices and customer service have kept us going strong. We work hard to make sure we keep the lowest prices on the internet, saving our customers money. With our approach to low prices and great customer service, it is no wonder why Thinkvacuums.com is continualy growing. Thinkvacuums.com recently added a couple more webmasters to our staff in order to make sure we are always on top of the internet and our competitors. Our web design and marketing staff search the internet daily to make sure we have low prices and one-of-a-kind kits and packages. This is what allows us to make sure we always have the lowest price online. Along with our growing web design staff, we are also very proud of our customer service staff which now includes three newcomers. Our staff fields hundreds of calls a day and offers nothing but the best in customer services to each customer. With our added customer service reps., we will be able to field these calls even better than before. This allows us to spend quality time on the phone with our customers, or reply via e-mail with long detailed e-mails. For low prices on central vacuums and great customer services visit. The Old "Pat On The Back"
We all enjoy a little pat on the back once in a while, but some people can get a little carried away. We serve hundreds of customers a day, and we have our share of positive customer feedback and testimonials, but it seems that other central vacuum companies try to go out of their way to put these testimonials in customers faces. We appreciate our customer's e-mails, especially knowing how hard it can be to find the time to do such things, but we try hard not to over power our customers with them. We try our best to keep our blog as informative as possible and by doing so helping out our customers and potential customers. That is why we have a blog, not to brag or pat ourselves on the back, but to keep you informed on the latest products and services in the central vacuum world. We have noticed that on some other central vacuum internet blogs that every other blog seems to be nothing but testimonials. How is this helpful to a customer? Not only that, but how many customer testimonial emails can a company get in a day..realistically? We will leave that up to your imagination. So when your cruising around the internet, be careful, some companies just want to pat themselves on the back, rather then give helpful information. Being that Thinkvacuums.com is one of the largest vacuum dealers in the industry, it is not un-commom for us to hear all the "he said, she said" going around in the vacuum world. We were recently informed that another central vacuum internet site has run into a problem with American Express and this problem may trickle on down to their customers. Maybe it has something to do with today's economy, maybe it had to do with the "credit freeze" that has hindered many other business, but for some reason this company's credit line has been greatly diminished. What this means is this company's Amex limit has gone from a high number to a very low number, which can hinder them paying bills or paying employees. This means that the prices of a lot of items are going up to make up for this. Prices on smaller items will go up a couple dollars because customers will not notice the change and they can get away with it. We want to warn our customers and potential customers about this other central vacuum internet site. When a company grows so accustom to having this large credit line they tend to stock up and run up bills, now this same company will have a hard time paying for things and may not stay in business for much longer. This could be a big problem for feature technical support or warranty work. So we urge our customers to be aware. Thinkvacuums.com is proud to let our customers know that we are an Authorized Sanitaire dealer and have proudly sold Sanitaire commercial vacuums for over 20 years. When it comes to the commercial cleaning industry, nothing gets the job done better than Sanitaire. For over 45 years Sanitaire vacuums have been providing quality, durability and longevity to cleaning crews, janitors and more. Sanitaire offers many different makes a models to fit everyone's situation. The new Sanitaire Duralux series as well as the Sanitaire Sealed Hepa series provide the best in filtration using a sealed hepa filter and offers an extention hose and attachments for all those hard to reach places. Sanitaire vacuum cleaners are very easy to maintain and hardly ever need to be taken to a vacuum shop for repair. Repairs such as changing a bag, belt, brush roller, bulb, pully and even a motor can be done easily by the user. Many of our customers have had their Sanitaire vacuums for over 25 years and only come in for parts. Sanitaire vacuums are powerful, lightweight and easy to use. The Drainvac central vacuum company recently released three all new central vacuum series, assuring that their is a vacuum for everyone. Starting with the PRO series which is great for contractors, builders or anyone on a limited budget. With the PRO series you can get all the strength and quality you come to expect from a Drainvac, without the costs. The new PRO series also features a new "self-venting" features so you will never have to worry about venting it outside. Next up is the Generation 2 series. The Generation series gives you all the power and quality of the PRO series with an added venting option, quieter design and is made from an even more durable material. With a new modern appearance with power to match, the Generation 2 is a perfect fit for almost any situation. Lastly, the all new revolutionary Drainvac SUMMUM series. With an all new sleek appeal, 4 color selection and modern body style, the SUMMUM series is the future of central vacuums. The all new Drainvac SUMMUM series is truly a "Green Living" central vacuum. With it's powerful European motor, super quiet operation and "Smart Touch" indicator panel, the Drainvac SUMMUM series will blow the competition away. Central vacuum systems are as popular in Canada as garbage disposals are here in the States. For this reason some America Internet sites have started selling products in Canada. Although we're sure there's plenty of money to be made doing this, the hassle and uncertainty involved is not worth it. We ship out hundreds of packages a day via UPS, USPS and others and we have our fair share of boxes damaged during shipping. We also have customers that want to exchange or upgrade an item after receiving their package. Now imagine shipping these same items to Canada and all the fees incurred when a customer has to mail it back. Customs is always an issue as well, and most importantly, warranty work. When you purchase a vacuum sold here in the States and need warranty work done, where are you going to take it? More often then not you have to mail your vacuum or part in for repair, so just imagine the costs. If for some reason you are not happy with an item you purchased from a company that ships to Canada, you will have to spend money on Duties, Taxes, Brokerage Fees etc. These expenses are also not covered under any return policy. We have heard many horror stories from customers who have experienced this and basically lost their money when they returned an item. If you purchase a $100 dollar item you will have free shipping, however if for some reason you do not like your item, you may end up paying $50 - $60 JUST to send it back, then your credit will be minus the companies shipping costs, which was $50-$60. This may leave you $120 in the hole, simply because you did not like an item. "Shipping costs on returned items will be at the expense of the customer except in the event of defective merchandise. Taxes, Duties, and Brokerage Fees are not covered. The customer is solely responsible for all Canadian imposed Taxes, Duties, and Brokerage Fees"
Although we have thought long and hard about moving into the Canadian market, we do not feel it's worth it to us or our customers. Make sure to visit www.thinkvacuums.com/centralvacuums.htm for more information. At Thinkvacuums.com, we value our customers and their privacy. When ordering from us you can be rest assured that your information is safe and secure. Thinkvacuums.com and our Cart32 shopping cart use Thawte Security. When anyone shopping on our site clicks a "Buy Now" button, they are automatically taken into a secure area in our shopping cart. This can be verified in two ways. One, you can check the address bar on the top of your browser and you will notice the address starts differently. When you are viewing a secure area the URL or web address will start with "https", not the normal "http". The second way to confirm this is to look at the bottom task bar and check for the little gold lock. Please note, that on new versions of some browsers, this lock may be on top bar to the right of the web address. Both of these tasks will confirm that you are in a secure area, and can feel free to input your credit card information. These two simply ways of checking for security are the oldest and most reliable. Some other Internet sites may use a third party verification, but these are not always reliable. You have to keep in mind, these third party verification companies get paid to do what they do. These means they probably don't have the consumer's best interest in hand. So remember, when checking for a secure site, use these two simply and "fool proof" ways to verify. Visit http://www.thinkvacuums.com/ for more information on central vacuums and accessories. Many things have been said about the quality of Genuine accessories and attachment kits, much of which is false. Many online vendors push these kits and accessories due to the the name alone, not because they can stand behind the quality of their product. More than 97% of central companies do not manufacture their own accessories and more often then not they are manufactured in a plant over seas. win-win situation for the VENDOR ONLY. The majority of central vacuum companies simply outsource their accessories to the lowest bidder. This means a cheaper quality product for the customer. The end result is a poor quality piece that simply has a sticker applied to it, giving it the "Genuine" label. A perfect example of this would be the Nutone and Hayden line. Both of these companies have there carpet nozzles made over seas in Japan or China by the Panasonic Corporation, with the finishing touch being a Nutone or Hayden sticker, making it Genuine. The name recognition of these accessories becomes more important when your dealing with the internet, because you cannot touch or feel these items. When this happens many customers feel more comfortable with a name they know, and find out the truth later. When the poor quality starts to show months down the road, the warranty is long since over. A lot of companies will state that these "Genuine" attachments are either "Builders Grade" or "Economy Series". This is done in an effort to alert the customer that this is something typically left in a new home by a builder or contractor. The truth of the matter is, central vacuum accessories that are manufactured by companies that solely manufacture central vacuum accessories give you the most quality. You will notice many "Genuine" accessories will not advertise any sort of warranty, which is always a tell-tell sign of poor quality. While there are a few companies that do make their own tools and accessories such as Hoover and Eureka, there have been other companies that have stepped in to fill the need for better quality attachments. Companies such as Cen-Tec, Wessel Work, MD, Sebo and others have emerged as companies that produce high quality central vacuum accessories, backed by strong warranties. Companies such as Nutone and Hayden only offer one electric attachment kit, not giving you the option of purchasing something with better quality. We at Thinkvacuums.com believe you should have options and be able to choose for yourself the quality of the attachments you want to buy. And while these "Genuine" accessories or attachment kits may be sufficient for builders or contractors, we feel there are much better accessories out there. And as the old saying goes...you get what you paid for. Also remember, equally important to the overall cleaning performance of your central vacuum system is the cleaning accessories which accompany it. These determine not only the overall enjoyment of your system, but have the greatest impact on the cleaning performance you should expect from your central vacuum system. When shopping or searching for a central vacuum unit you should be aware of vacuum units that are private labeled. A private labeled vacuum unit is basically a vacuum unit that someone puts a sticker on and tries to push very hard due to a higher profit margin. For example, this is the equivalent of us taking a sticker and slapping it on any vacuum, making "Imperial Vac", "Empire Vacuum", "Tony's Vac" or some other fictitious name appear to be a real company. Anyone can put a crown on a vacuum and pretend to be a real company. There are a variety of problems that come with a private labeled unit ranging from warranty issues, difficulty with service, companies going out of business etc. You should ALWAYS deal with a real central vacuum company, a company that you can contact, not a company that simply applied their name to a vacuum. When you purchase a private labeled unit you will ALWAYS have to go back to that company, and ONLY that company for all warranty related issues. We have also heard complaints from customers that they cannot have their private labeled unit serviced locally. Local dealers "simply will not touch" private labeled vacuums. Local dealers normally cannot get parts for these units and do not want to be responsible for any work that may violate the warranty agreement. A company using a private label can easily change their name over night, leaving you stuck in the dark. As the old saying goes, here today..gone tomorrow. With no one to look for, and no name brand to find, you will have no one to turn to. Make sure you're never left in the dark. Stay away from private labels! Many people also get stuck with a vacuum unit they cannot get replacement parts for once these "companies" go out of business. Being that no other companies carry these private labeled units, you are forced to go back to them for parts, bags, filters, hinges, motors etc. At this point you will have no other option but to pay their much higher prices for replacement parts. Once the company has gone out of business the customer is left stranded and often will have to replace the unit. We have also heard many horror stories about units that have caught homes on fire or caused other damage to a home. These so-called companies often do not have insurance or liability coverage and will not assist their customer in these events. Hoover, Dustcare, Walvac, Hayden, Cana-Vac, and others. These are REAL companies. Companies that you can contact via phone or visit online. This is not the case with a private labeled vacuum unit. You will NOT be able to go to their website for more information. You will NOT find an actual company under "Super Sucker 2000", but ONLY the company that sold it to you...assuming their still open for business! The only reason a company private labels a vacuum is to earn more money from an unsuspecting customer. These companies are well aware of the fact that you cannot shop this vacuum anywhere else, forcing you to pay whatever high price they give. There is of course a much higher profit margin for companies that sell their own private labeled line. Thinkvacuums.com would much rather give our customers more options so they are able to get the unit that best fits their needs and budget. Our customer service representatives will help guide you in the right direction, with many options and price levels. We are more concerned about our customers satisfaction then our profit margin, so Thinkvacuums.com will NEVER private label a vacuum. In all honesty, a private labeled unit is nothing more than a fake company out to steal your money. You are forced to pay higher prices, because NO OTHER COMPANY will have their unit making it impossible to shop. Secondly, if you ever need a replacement part you will be force to go back to the company where they control the pricing. You will undoubtedly be forced to pay higher prices for these parts and/or repairs. So don't become trapped! If your not sure about a company or unit, ask for that COMPANY'S (manufacturers) website and phone number. 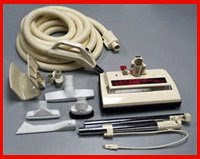 You may also contact Thinkvacuums.com for information regarding private labeled vacuum units. We have decided to start up a blog for the biggest vacuum retailer on the internet, ThinkVacuums.com. Here you will find information on all things related to the central vacuum industry, with advice and tips on what kinds of features you should look for to information on the vacuums themselves, site updates, and so on.